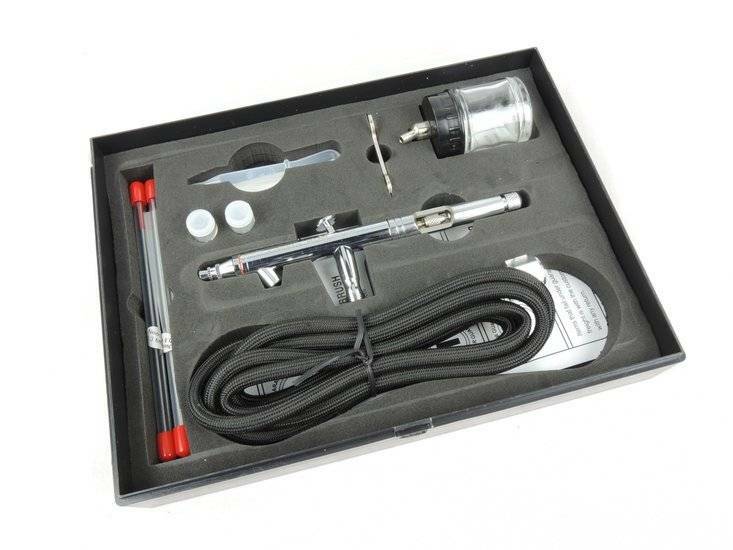 The Airbrush BD182 airbrush works well with textile colors, acrylics, automotive paints or any type of thinned paints or glaze. 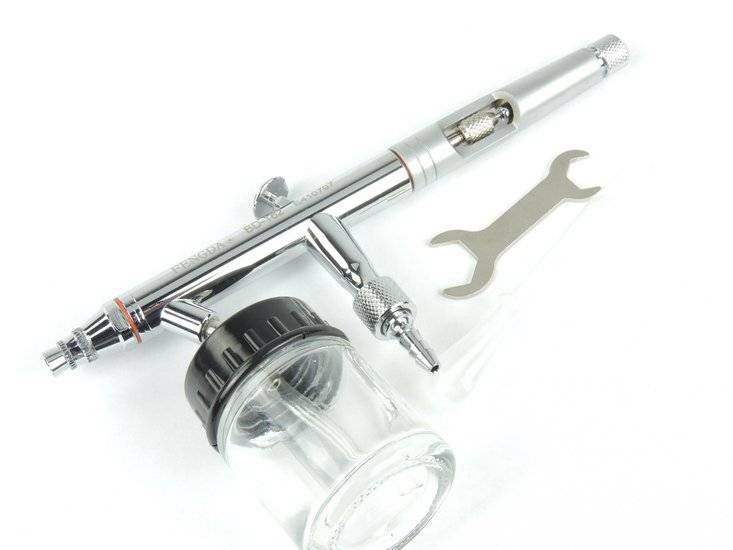 This airbrush offers the dot fire preset adjustable handle designed to give a more precise control over material and air flow amounts, this airbrush also comes standard with a dual purpose cutaway and preset handle for easy clean up and a more precise control of air flow. 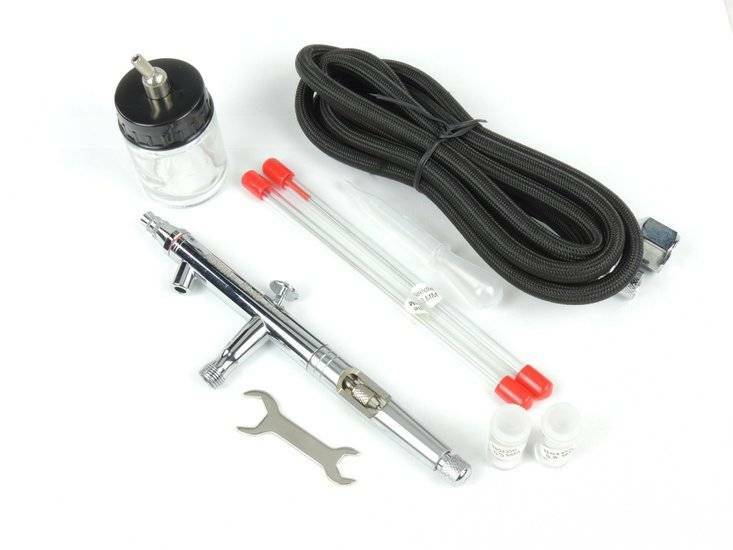 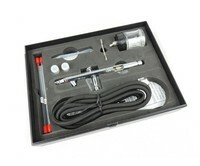 The Airbrush BD182 airbrush offers a smooth, responsive, long-draw trigger managed by a controllable tension spring system. 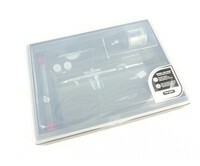 The body is a tough, plated exterior that is impervious to most solvents. 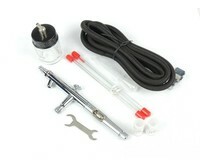 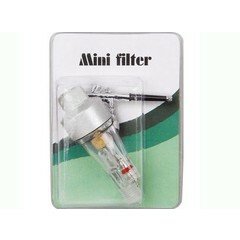 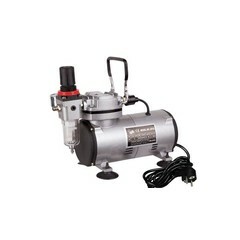 The airbrush design was developed for easy disassembly and assembly for ease of cleaning and repair. 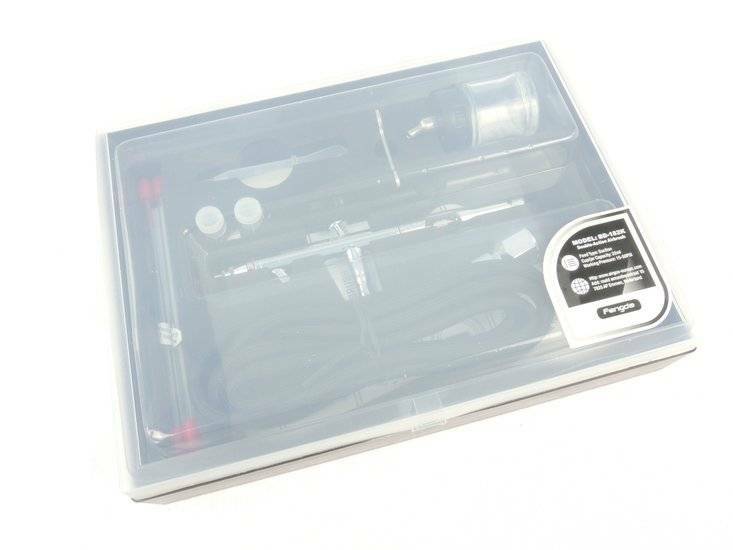 The 0,3-0.5 and 0,8 mm nozzle/tip unit allows the user to spray lines in a variety of thickness which makes it one of the most versatile units in the Fengda airbrush line . 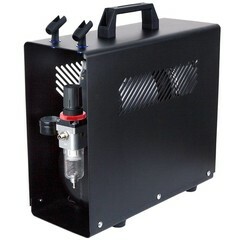 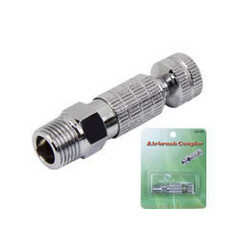 Compatible with most airbrush hoses and quick connects.